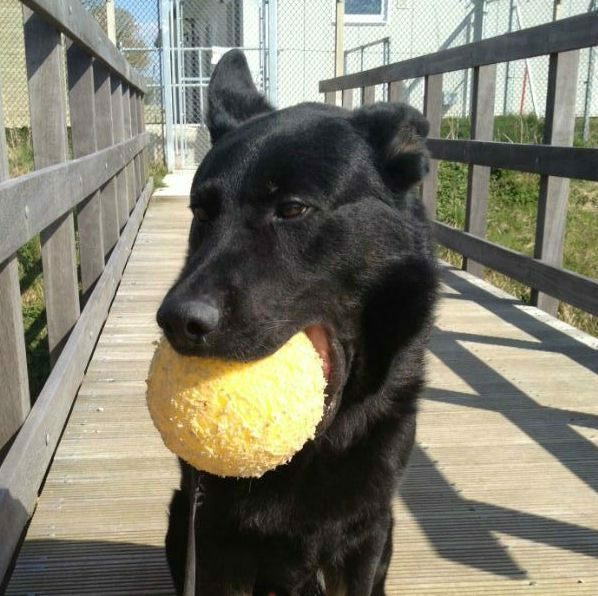 This happy lad is 4 year entire Bak. 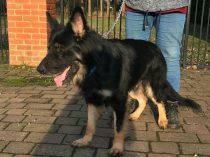 Bak is currently with the RAF and was taken in to train up as a patrol dog, however he is unfit for service as he has been diagnosed with mild hip dysplasia on both sides. With proper management this should not prevent Bak from having a long and active life however. 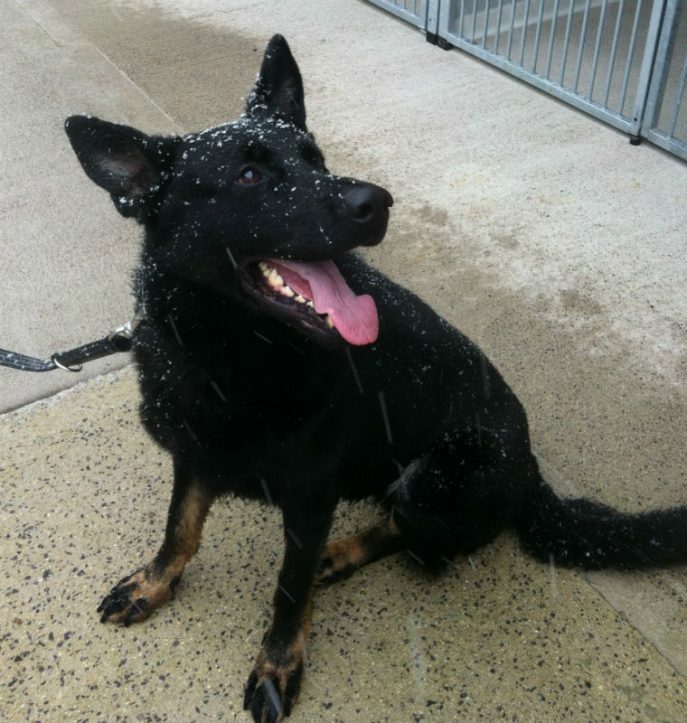 Unfortunately Bak has not been socialised with other dogs so it is unknown how he will be. He has not met children so we would not consider a home with young children. 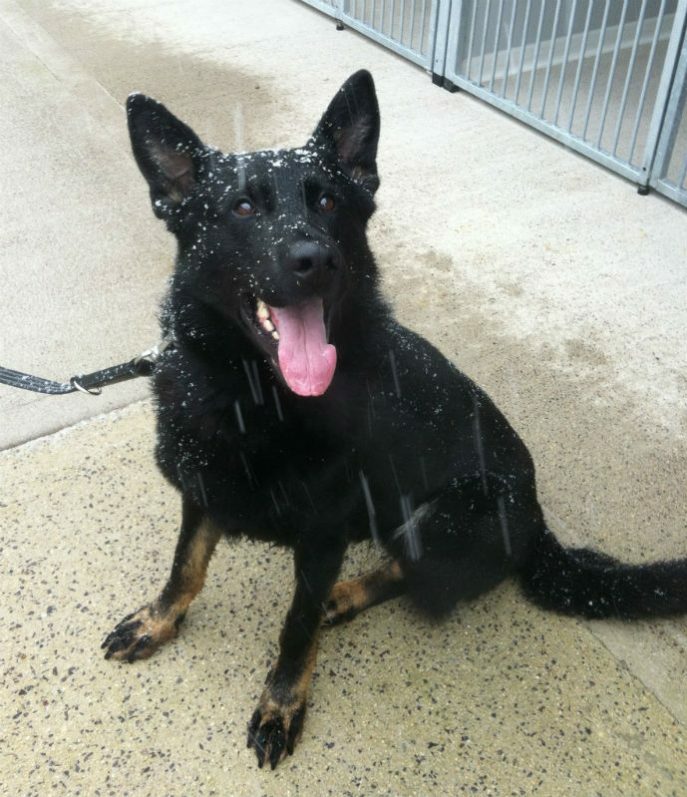 Bak can be strong on the lead if distracted but settles down and walk wells. He has good recall and basic commands. 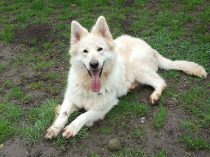 Bak is a lovely big bouncy boy according to our assessor who was a fantastic working dog until the diagnosis. 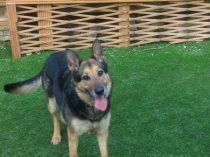 When first meeting him, Bak can appear intimidating with his bark but was just in a rush to run up and be friendly and wanting to play. 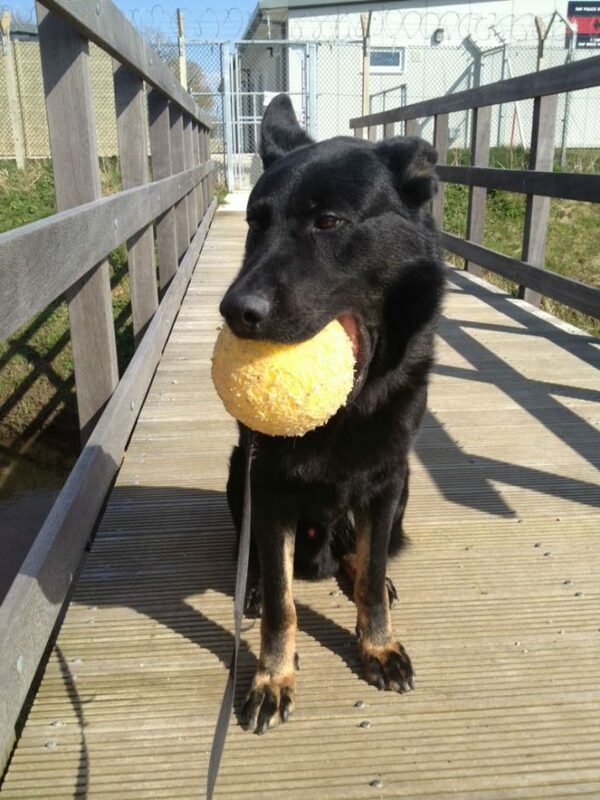 Very toy orientated due to his training. 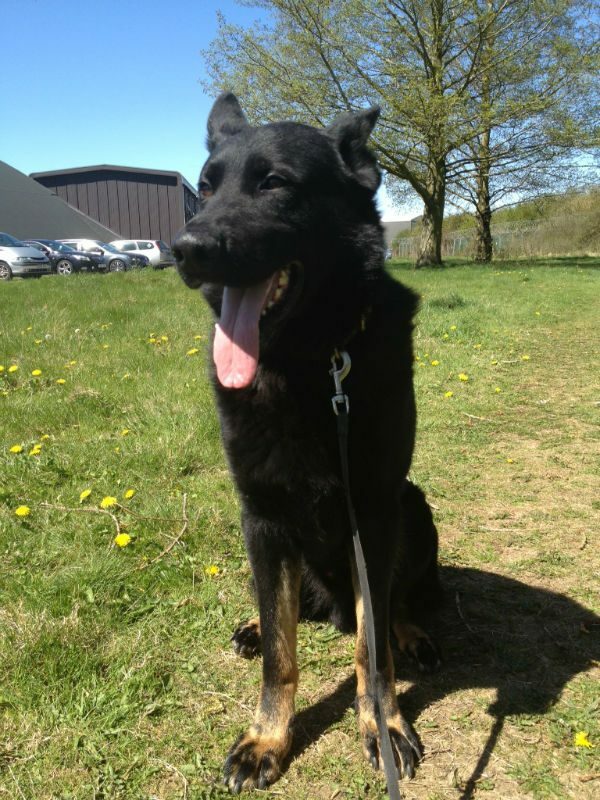 Bak will need an experienced owner who can manage large males but in the right hands will be a fantastic addition. 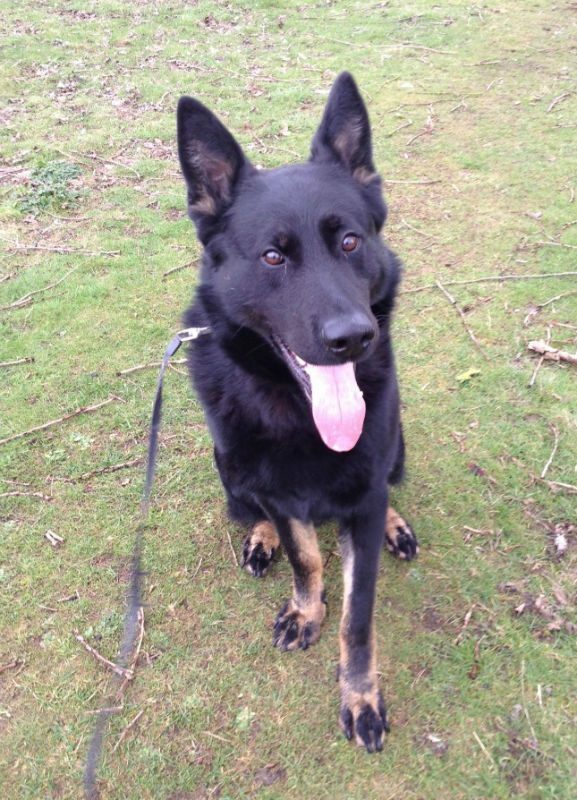 Bak has now found his forever home with an ex handler.